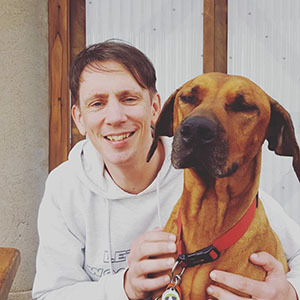 4Lyfe Rescue is a registered not for profit animal rescue charity based in the ACT providing rescue, foster and rehoming services throughout Capital Country and beyond. 1.1. 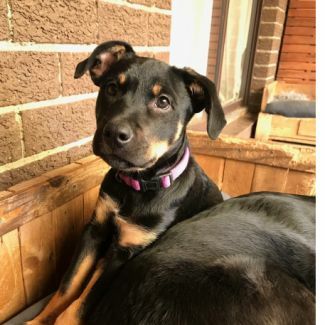 4Lyfe Rescue is a dedicated not for profit domestic animal rescue service providing foster and rehoming services throughout the Canberra region for surrendered, neglected or abandoned animals and assisting pet owners rehome animals they can no longer care for. 1.3. 4Lyfe Rescue will be conducted as a not for profit association in accordance with the rules of our association, the Australian Capital Territory’s Associations Incorporation Act 1991 (the Act), the Associations Incorporation Regulation 1991 (the Regulation) and the Charities Act 2013 (Cth) (the Charities Act). Please direct all enquiries and adoption interest to: http://www.4lyfe.org.au/adoption-application once your completed form has been received and reviewed, the foster carer of the animal you are interested in will be in touch. Applications for 4Lyfer's are based on best fit. 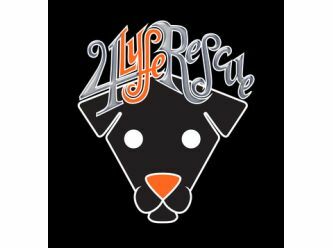 4Lyfe Rescue aim to place our fosters with the best suited applicant based on temperament, energy levels and any special requirements our foster may have. 4Lyfe Rescue will continue to foster an animal until it has found the perfect home. 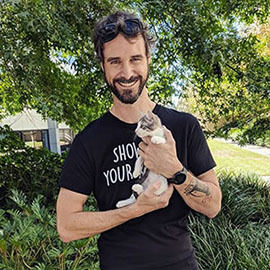 4Lyfe Rescue will require a property inspection and meet and greet with the potential owner, residing family and resident pets before approving adoption. All cats are rehomed as indoor/cat containment enclosure only. Full payment will be required once approved and before the animal is rehomed/ trialled with its potential new family. PLEASE NOTE: As volunteers who also work full-time we have limited phone access during business hours. Please use http://www.4lyfe.org.au/adoption-application for prompt responses. Otis is a very sweet little pup. He is approximately 14 weeks old. His favorite past times include: - Digging in his water bowl - squeaking toys - lap cuddles - learning new skillz Since in care Otis has learned the command sit. And is working on mealtime manners which he is doing very well at for his age. Otis is currently being crate trained. His house training is coming along well. Otis currently lives with three other older dogs. He can be quite demanding for their attention. So it is recommended that Otis either is rehomed as an only dog, or with a family that will be able to manage his behaviour with an older dog. Otis is a very loving little pup who would do well with attending puppy school and beyond. He has a beautiful nature that will be a pleasure to nurture over the years. He is very receptive to learning with positive re-enforcement. All in all he’s a terrific puppy, and with the right foundations will be a very loving and loyal family member. If you would like to apply for Otis please use the application form found in the adoption details below. Elf is one of our Christmas rescues who came into care with his 4 siblings. Elf is a quiet and gentle kitten that likes the company of other animals. Elf was a bit shy when he first came into care but he has done really well in his new environment and is loving being around people now! Elf will need lots of attention, cuddles and play time with his new humans but would be best suited to a quieter home without young children as he is a little unsure of unpredictable movements. If you are interested in adopting Elf or any of his siblings, please fill out our application form. (link can be found further down the page.) We look forward to hearing from you. 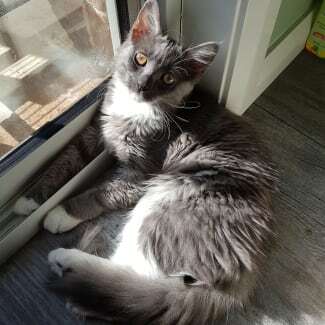 Spitty was trapped and rescued with her mum and 2 siblings (Itty and Bitty) in late 2018. While Itty and Bitty adapted quickly to their new domestic lives, Spitty took a little longer. We have worked hard to get her used to being around people and she has done really well. 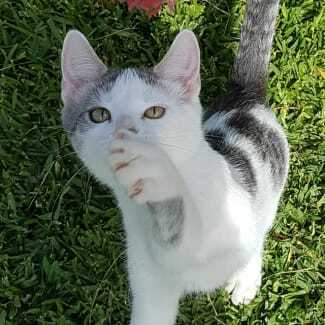 Spitty is very sociable with other cats and loves to play. Every day she adds new "normal" kitty behaviours to her repertoire. She responds well to treats/rewards and is continuing to gain confidence around people. Spitty would be best suited to a home without young children, where someone will be home regularly. Another friendly cat companion would also be ideal. If you are interested in offering Spitty a forever home, please send through an application!